Some time ago I mentioned I joined the project called the Mask Series where wet plate collodion photographers from all over the world were invited to join. About a month ago I received my mask and yesterday, finally, was able to work with it. I had two things in mind to try. The first one didn’t work out, the second one surely did. 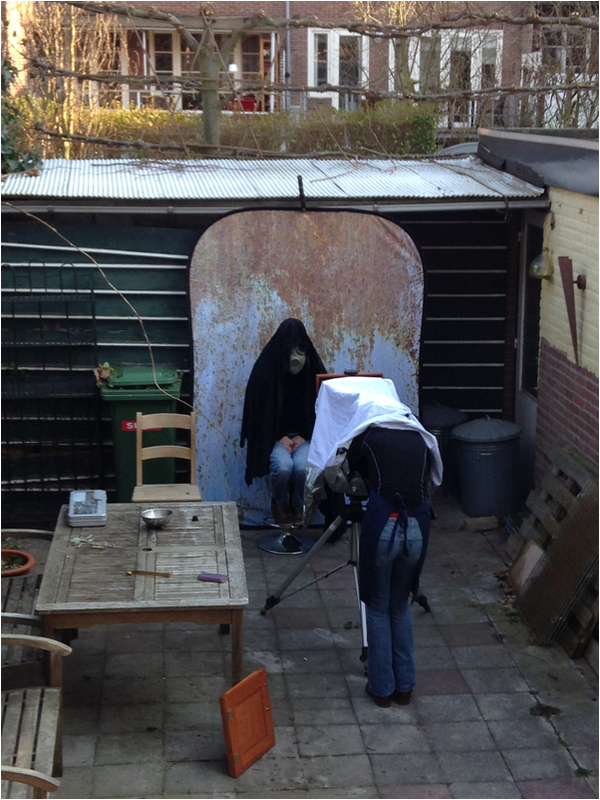 As a background I used the Lastolite Urban Collapsible which worked really well with collodion. I will be using that more in the future (heck, it’s the reason I bought it ;-)). The plate has a bit more detail in the blacks from the drape, hard to convey with a scan while keeping the same mood. Anyway, really happy to have been making plates again, that really was a long time ago. Hopefully be making some more again today! This entry was posted on April 2, 2013 by Contrastique. 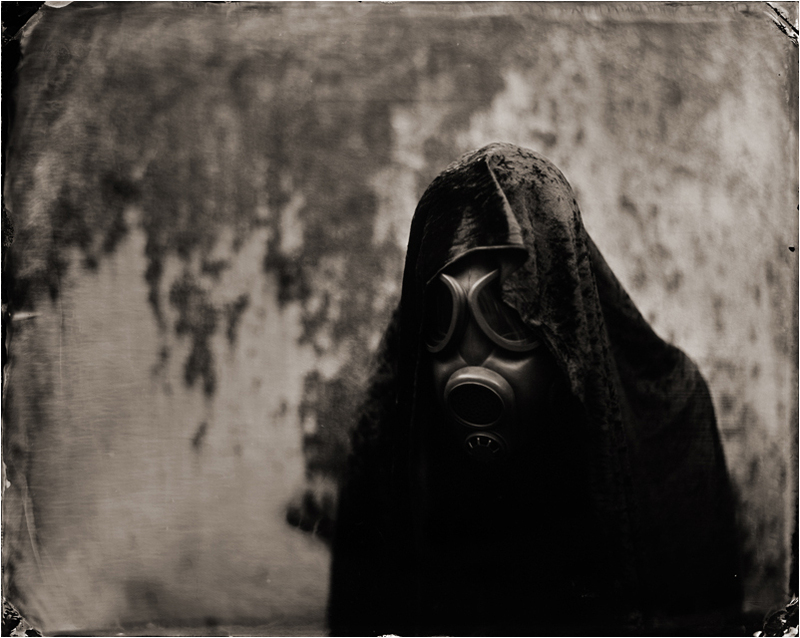 It was filed under Wet Plate Collodion-Photos and was tagged with 2013, lastolite, lastolite urban collapsible, the mask series, wet plate collodion. Love this image. Nice work.